The guides on this website often require that commands are run on a regular basis or run when your machine starts up. This is very easily done with the command scheduling tool built into Linux. This is known as cron, or crontab (short for cron table, I believe). The easiest way I’ve found to add things to this is via Webmin as it lets you quickly select a time to run a command and enter the command via a convenient web interface. Here’s an easy guide I wrote previously on how to install Webmin. First we need to understand how the cron table is structured. If you run crontab -l you should get a list of the jobs currently scheduled on your system. 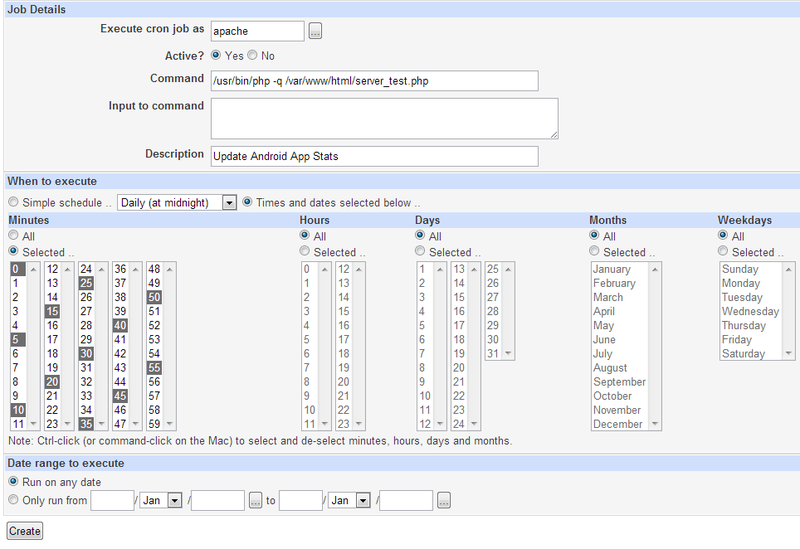 Note that this will only show you the jobs associated with your currently logged in user. would run /path/to/script.sh every time you started the NAS.